You may think that the best time to get your daily exercise in was in the morning. Well, we’re here to tell you that getting your fitness activities in before bed may be a better route. Fitness gurus used to recommend only morning or afternoon workouts, but it’s since been realized that as long as you do it about 30 minutes before bed, your body won’t fight to stay awake. Working out has a way of tiring you out both mentally and physically, which will help you sleep like a baby. It’s always important to have a nice bed, such as a Beautyrest mattress, but getting your heart pumping a little faster is always a great way to help you get some good rest in. Even better, you can combine any of the following exercises with sleeping on a Beautyrest to get the best sleep results! Squats are simple and help you break a sweat in no time. The best part of this little workout is that it requires nothing. You can even squat right next to your Beautyrest bed and just fall on it as soon as you’re done! Start out by doing 50-100 squats a night. When that starts getting too easy, hold a book to add some weight to your workout. Bump up the intensity by doing 300 when that starts feeling like a breeze. Before long you’ll feel ready for bed and probably start to see improvements in your sleep schedule as well as your body! If you have a home with stairs, it’s time to start utilizing them for more than just getting to your bedroom. All you need to do is swiftly walk up and down the stairs – that’s it. 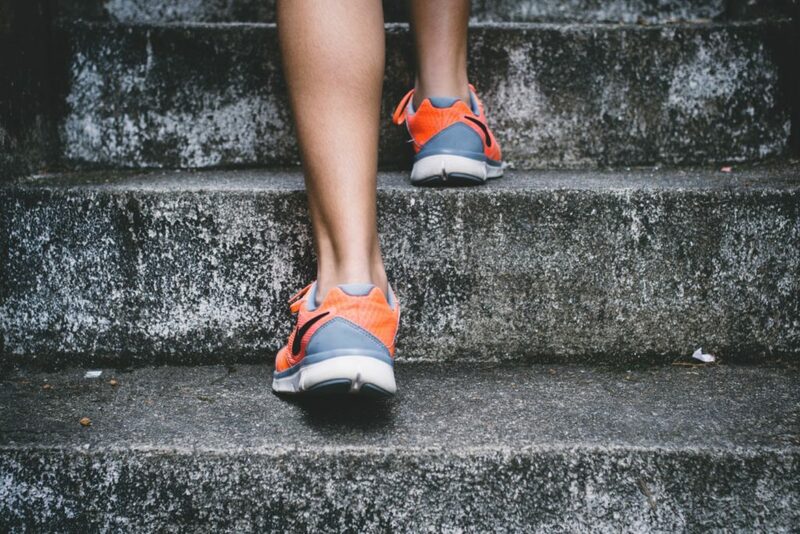 You can either set a goal for yourself of 200 stairs a night, or you can try doubling up on stairs so you are forced to lunge when walking up the steps. Either way, your body will appreciate the burn and the good sleep you’ll get from it. Are you looking for a workout that will leave you feeling like you just ran a 3k? A few burpees will do that to you. If you combine a pushup with a jumping jack, you’ll basically get the motions of a burpee. Doing 30 of these will take your breath away and make anyone ready for a deep sleep. 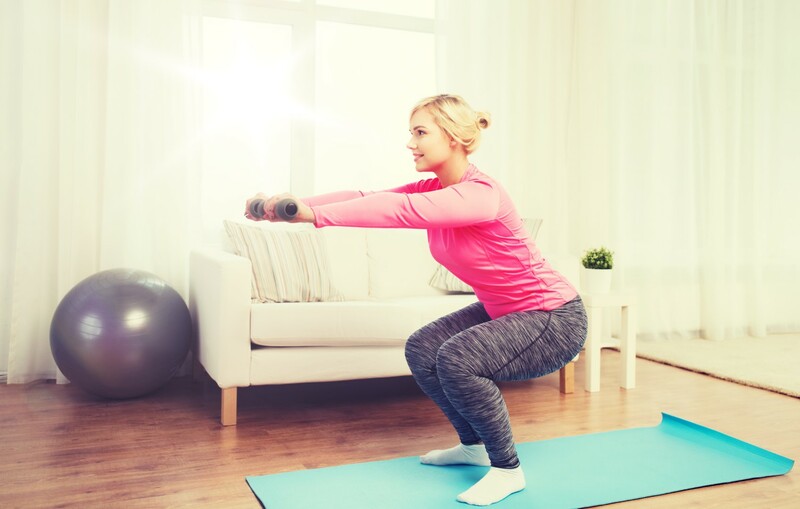 Just be careful when doing these in your home: You’ll want to make sure your ceilings are tall enough, so your hands don’t get smashed during the workout. Your nightly exercise routine doesn’t have to be intense, it can be as simple as a few yoga stretches. Having a light yoga workout can be great before bed, and even help you unwind from that long and stressful day at the office. Find specific yoga poses you love and work on perfecting them. And, no, corpse pose doesn’t count. Getting your sweat on before bed can help tire your body and mind out, and make your sleep time a restful one. But, without a good mattress, you’ll continue to have uncomfortable sleep no matter how many exercises you do before bed. Visit our store to find the right Beautyrest Mattress that’ll help you fall asleep quickly, workout or no workout.